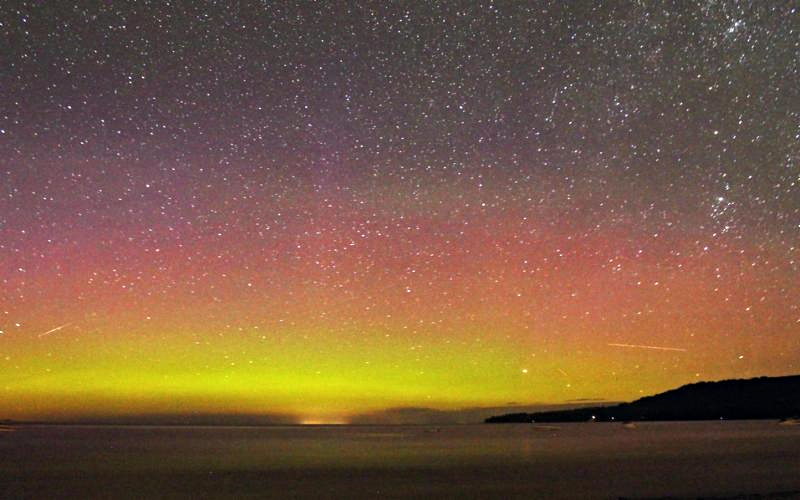 Thanks to an astute photographer, Trent Pipher, we can see both the Perseids Meteor Shower and the northern lights from last Wednesday’s spectacular showing of nature at its best! 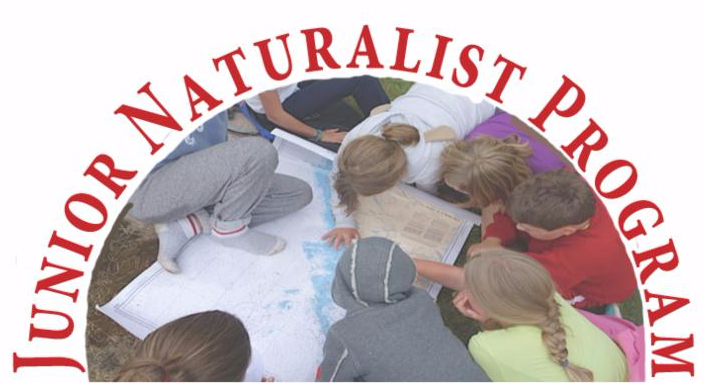 Junior Naturalist Survivor Program This Sunday – August 23! Recent observations around our marinas find a staggering amount of discourtesy, mostly unintentional, whether related to speed, passing and entering/exiting the dock areas. Next time you are at one of the Marinas, take a look for yourself! Throughout their day, marina staff observes boats slowing down half way while passing the docks. Do you do this? I know I have. In doing so, rather than doing them a favor, the fellow boaters create even bigger wakes because they only slowed down HALF way. Remember that in the act of slowing down, the haul of the boat goes deeper in the water, displacing more water, which in turn creates a BIGGER wake. These wakes then disrupt activities on the docks, increases difficulty for other boaters to dock their boats and potentially damage docked boats. One staffer was almost dumped in the water while filling the customer’s gas tank due to one such wake. EVERY boater needs to slow the boat down to the neutral position such that the bow of the boat returns to a neutral position BEFORE proceeding at a slow rate of speed while passing our marinas (or kayakers, paddlers and small boats in narrow channels with our young kids in them for that matter). Middle Reach Sailing Race This Saturday @ 2 p.m.
We had an action packed weekend with our annual PaBAR regatta on Saturday followed by dinner at the Ojibway Club. Congratulations to our regatta winners; James & John Tremayne in the Albacore class, Bill, Leanna & Shannon Foster in the Flying Scots and Tim Bradshaw in the Laser class. Thank you to our Race Crew, the Bradshaw family, the Ojibway Club and all our volunteers – the regatta was a huge success. Our next race will be held on Saturday August 22nd at 2 pm on the Middle Reach Race Course. 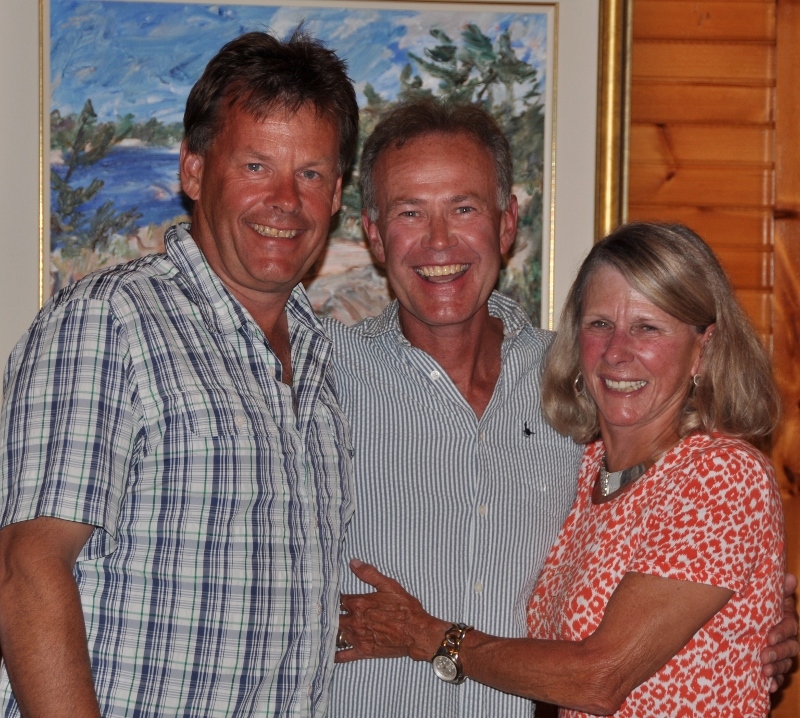 The Rendezvous will be hosted by Pat Poellet and Rick & Brenda Spiering at Nytok (A96-78) following the race. 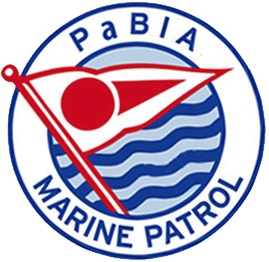 Check the PaBIA website for course descriptions, race results and other pertinent information. See you Saturday! Helen Roby Bryce is a fourth generation cottager and her passionate love of the bay runs in her blood. Her great grandfather, Luther Roby, first brought her father’s family to Pointe au Baril and bought Camp Cleveland. Her parents, Dave Roby and Helen Hawks, met here and married. 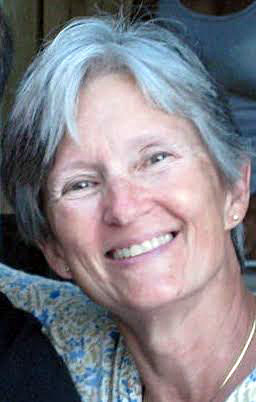 Helen was raised at her mother’s place on Champlain Island and met her husband Doug Bryce at the Ojibway sailing classes. She is happily retired from a career in education where she taught for many years finishing her career as senior school principal for 9 years in downtown Toronto. PaBIA is an organization that she has always respected and been grateful to for its depth and breadth of issues and advocacy. She is excited to become a part of Communications which is a good fit for her writing and organizational skills. Anything she can do to help is her goal because there is no place else in the world she’d rather be than on Flatrock Island, Pointe au Baril. We were doing research on how to reduce the consumption of mercury and other contaminants when eating fish and found it interesting that how you clean fish has a big impact. Here is some information you may find interesting. PCBs, pesticides and dioxins concentrate to the highest levels in fish with fatty flesh, such as Salmon, Trout, Carp and Catfish. 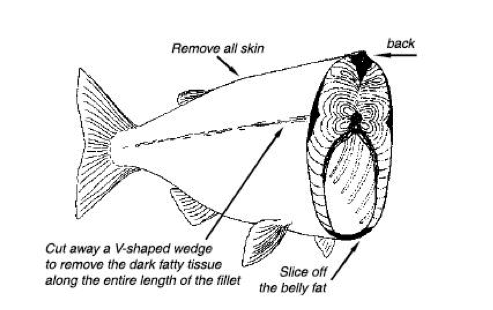 Before cooking, remove the skin, trim off the fatty areas and discard the flesh around the belly area (as shown in the figure below). You can further reduce contaminants by allowing fat to drip away during cooking (e.g. grilling, broiling or baking). If you deep fry fish, do not re-use the oil. Mercury is the cause of most consumption advisories in inland water bodies. Mercury, as well as perfluorooctane sulfonic acid (PFOS), is evenly distributed in fish flesh so there is nothing you can do to reduce or remove it. Here is more about proper fish preparation. 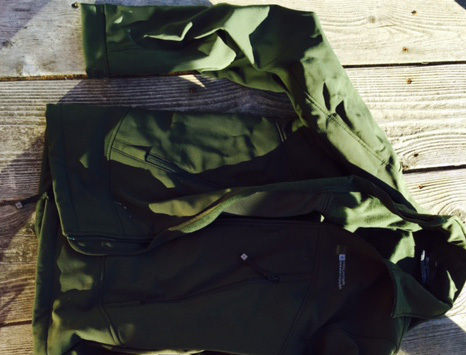 Missing a Canvas Bag or Green Jacket? 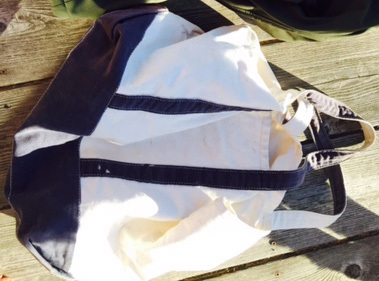 On Tuesday late afternoon, July 21, this canvas bag with several items inside including the green jacket, was left at Peppers on Electric Island. Should you recognize it, please contact Maggie Pepper as she would so like to return these items to their rightful owner.